Please join us in Kentfield, CA on April 5th at 6:30 PM to learn about how making one simple change in the choice of the car you drive can help benefit the environment and make your life easier. Featuring micro brews and snacks, a show and tell with electric vehicle owners and expert Dale Miller, President of Golden Gate Electric Vehicle Association. Two polar bears and a villain named Mister or Missus Carbon walk into a school assembly . . no, this isn’t a setup for a joke . . . it’s a play. That’s Carleen Cullen, executive director of Cool The Earth, which provides climate education to participating schools. The play, a fable of melting icebergs, educates kindergartners to eighth graders about climate change. 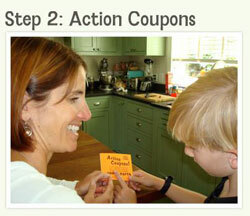 Then they head home with “action coupon books,” which include ways their families can reduce carbon pollution – from changing light bulbs to not wasting food. Creative Child Magazine awards Cool the Earth’s environmental app Koda Quest — App of the Year! Our founder, Carleen Cullen, speaks about the importance of climate change education for young children today at the Chabot Space Center’s weekly “Future Fridays” event.